A father frolics with his merchild, an entranced young woman floats to the music of the panpipe, a young girl metamorphoses into a butterfly. Many of these paintings invite storytelling — and not just stories for children. They lend themselves to marking transitions or stages in life, so can make meaningful gifs. 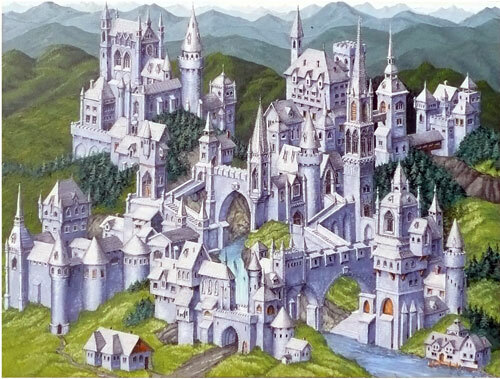 Others suggest fantasy lands, with elaborate castles such as never existed on earth. Still others are more wryly amused, and amusing. Dimensions are expressed in inches. If you do not see details of the medium, size, and price in a caption, hover your cursor near the bottom of an image to make the caption appear. All profits from all works on this site go fully to registered charities for environmental or humanitarian work.